PANDORA ESSENCE Collection is a new charm bracelet concept featuring a slender sterling silver bracelet with signature rounded barrel clasp with engraved PANDORA logo. The ESSENCE Collection charms are small and delicate, and are equally sized creating a harmonious and elegant look. Each charm represents a specific value and the individual charm design not only supports the value, but enforces it. The ESSENCE Collection is an emotional expression of inner values. It connects us to who we are, and marks a deeper connection and a profound understanding of the multi-faceted components that make up a woman and her life. 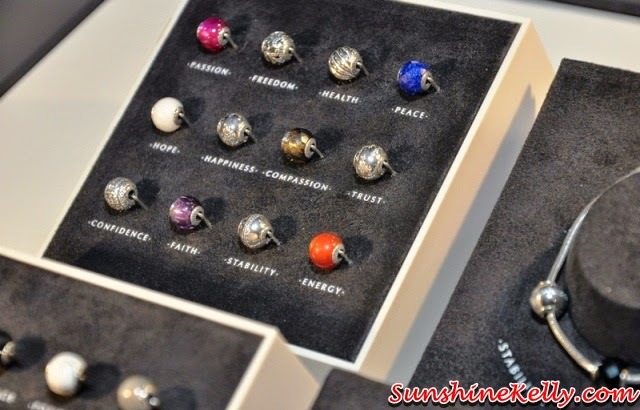 The ESSENCE Collection of 24 sterling silver charms features symbolic materials, colors and patterns that represent inner values such as joy, trust, passion, confidence, love, courage, faith and wisdom. The charms slide effortlessly onto the ESSENCE Collection bracelet, and are secured in place with an innovative solution based on a flexible silicone grip built inside the sterling silver core of each charm. Due to these innovative designs and concept, women can take control of their styling and expression, taking PANDORA’s commitment to jewellery customization and inspiring individuality even further to express the essence of their inner values. The ESSENCE Collection bracelet is available in sizes 16 – 21cm and it has a sophisticated feel and multiple styling options. The significance of each individual charm is attained through the use of symbolic stones, colours, patterns and finishes. 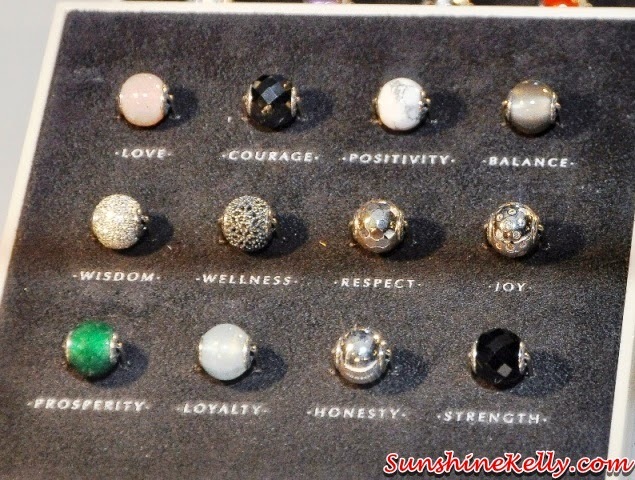 Each charm were carefully crafted incorporating ancient traditions and symbolic patterns that consists of gemstones, cubic zirconia and charms in ornamental sterling silver. PANDORA ESSENCE charms acts as an inspirational meaning towards each individuals such as Passion, representation of fiery red-colour of man-made ruby is associated with fervent passion and passionate romance. As for the Wisdom charm, it is crafted with diamond point technique to make the surface resemble the bark of a tree, symbolizing the wisdom of nature. Another beautifully designed charm is Confidence, crafted with 122 dazzling stones, each set by hand in channels of sterling silver, portray a novel and strong feature celebrating feminine confidence. Due to the modernization of women’s role in today’s society, the Freedom charm is the perfect representation, with delicate openwork lace pattern, enhanced with oxidation, plays as an essential role in symbolizing freedom for women throughout. Express the essence of you and get your own personal values with PANDORA’s ESSENCE Collection to create a truly eminent personal style. 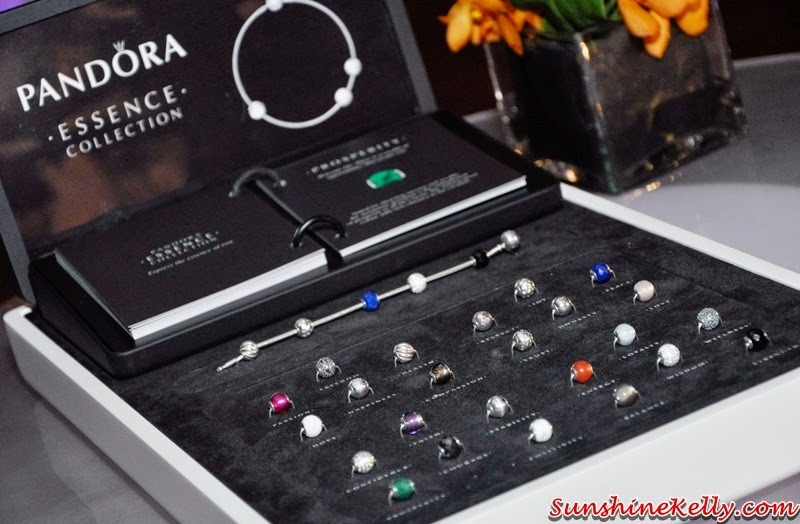 The prices ranging from RM126 onwards and is available at PANDORA boutiques nationwide. To own your very own PANDORA piece today, visit any one of other PANDORA’s locations at Bangsar Village II, Empire Shopping Gallery, Subang, Mid Valley Megamall, Tropicana City Mall, Gurney Plaza, Penang, Setia City Mall, Shah Alam, the Paradigm Mall, Kelana Jaya, Alamanda Putrajaya, Kuala Lumpur International Airport and boutique kiosks at Pavilion Kuala Lumpur, Suria KLCC, and Pandora jewellery counters at the Ampang Point Habib showroom. 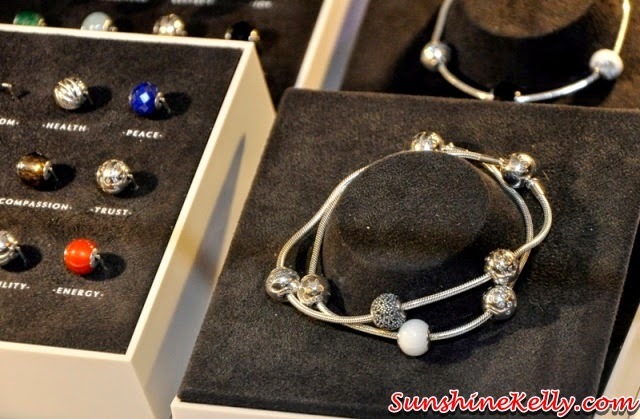 PANDORA’s East Malaysia boutiques are located at the Spring Shopping Center, Sarawak and Suria Sabah. 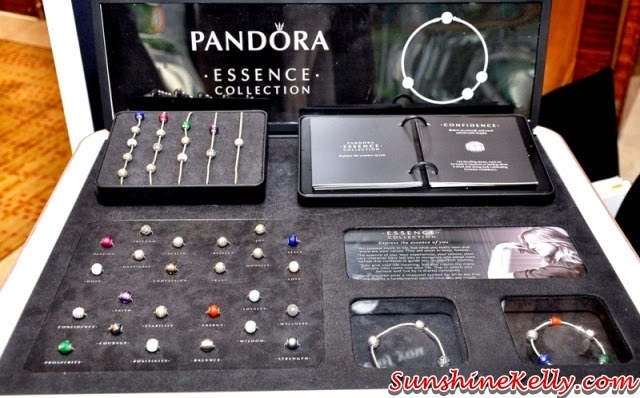 Pandora do have charm bracelets, just not the traditional ones like Thomas Sabo or Tiffany & Co.'s ones. Also, I find Pandora and Thomas Sabo to be equally priced, just that Pandora's quality is better.